Joseph D. Foti, Jr. was admitted to the State of Connecticut Superior Court in 1985 and the Federal Court in 1986. He graduated from the University of Connecticut in 1982 and attended Loyola University School of Law and Western New England College School of Law where he graduated in 1985. Mr. Foti is certified as a Civil Trial Advocate of the National Board of Trial Advocacy and has successfully completed the requirements of the National Institute for Trial Advocacy for litigation. He is a member of the Connecticut Bar Association, the Waterbury Bar Association, where he is a member of the governing body, as well as the Connecticut Trial Lawyers Association, where he is a member of their Board of Governors and Case Review Committee. Mr. Foti limits his practice to plaintiff personal injury litigation in both State and Federal Courts. Prior to joining Moore, O'Brien, Jacques and Yelenak in 1998, Mr. Foti practiced as a litigator in criminal, family, commercial as well as personal injury matters. 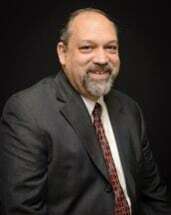 For several years, Mr. Foti served as City Counsel to the City of Waterbury Police Department, where he trained police personnel and wrote policies concerning the use of deadly force, high speed pursuits and search warrant issues. He has been certified by the Connecticut State Police as a Municipal Police Trainer. While at Moore, O'Brien, Jacques & Yelenak, Mr. Foti has tried many cases to verdict in both State and Federal Courts. Along with each attorney at Moore, O'Brien, Jacques & Yelenak, Attorney Foti has fought for victims of drunk driving cases and negligence. Mr., Foti was active in expanding the notice restriction in Dram Shop cases against bars that serve alcohol to intoxicated individuals and was the attorney who handled the State Supreme Court case of Allen vs. Cox where liability for a domestic animal's attack was expanded so that a victim could be compensated. In addition to bringing victim's cases into court, Mr. Foti has also testified before the State Legislature on behalf of his client's rights. Mr. Foti was recently honored at the State Legislature for his achievement in practice and the community. He is currently very active as a board member with Habitat for Humanity and as a board member of the YMCA. He has served as a court arbitrator and finder of fact and has been a lecturer at numerous seminars for the Bar Association.